Despite its name, Chestnut Tree House, the children’s hospice for Sussex, does not have a treehouse. But this is about to change. After the Ideal Home Show we will be reassembling the Quiet Treehouse in its new permanent home: the Woodland Walk at Chestnut Tree House. We couldn’t have thought of a better place. At Blue Forest we love creating luxury treehouses that give our clients a chance to reconnect with nature and rekindle their inner child. So when we get to make treehouses for actual children we get really, really excited. And when that treehouse can help to give children facing life-limiting illnesses a chance to experience some of the pure joy and abandon we associate with treehouses, we couldn’t be more privileged to be a part of that process. The woodland walk at Chestnut Tree House will give children and young adults a space to enjoy the outdoors. As the Ideal Home Show is drawing to a close it’s time to start thinking about disassembling the Quiet Treehouse. Since Quiet Mark approached us last year to design and build the Quiet Treehouse in partnership with John Lewis, we’ve invested a great deal of time and energy into making the world’s first low-noise treehouse a reality. It’s been an incredible journey delving into the fascinating field of architectural acoustics and working with some of the world’s pioneers of low-noise building solutions. We’ve utilised innovative new technologies like Acoustiblok, Rockwool, Kvadrat Soft Cell panels and Cantifix windows made from Pilkington Optiphon glass to construct a tree house that is virtually resistant to the constant ambient noise of our surrounds. But now that it’s time to pack up, it’s also time for reflection. The Quiet Mark team have certainly changed a few minds about the role of noise and the value of quiet. And our thinking about noise-reducing design has definitely taken on a new level of sophistication. But after all the hours and all the materials that have gone into it, we’d hate to think this is the end of the road for the Quiet Treehouse. Thankfully, at the end of the summer the Quiet Treehouse will find a home at its final destination: Chestnut Tree House children’s hospice in Sussex. Chestnut Tree House children’s hospice cares for nearly 300 children and young people with progressive life-limiting conditions. The nature of their work means that the hospice is constantly looking for meaningful ways to help their young patients experience the best possible quality of life during their stay. For most of us time spent outdoors is particularly memorable, but it can be difficult when illness limits your mobility. This hasn’t stopped Chestnut Tree House. 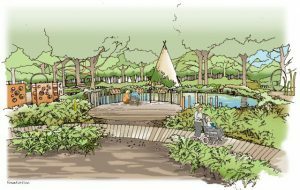 They have recently started developing an area of woodland next to the hospice which will give the children and young people at Chestnut Tree House the opportunity to have new experiences and make special memories outdoors. 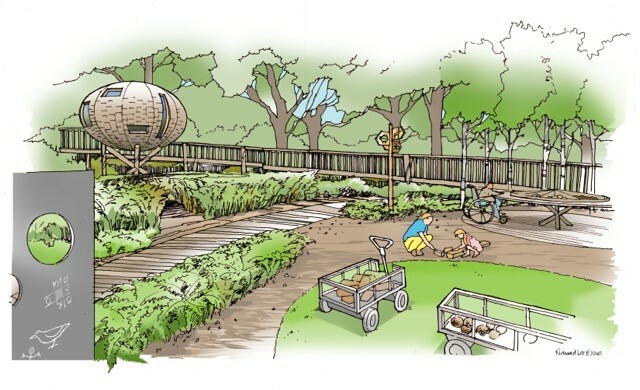 The Woodland Walk, which is currently under construction, will feature a wheelchair-friendly trail in a sensory landscape. And in the final stages the Woodland Walk will be getting an addition that will help Chestnut Tree House live up to it’s name: an actual treehouse. 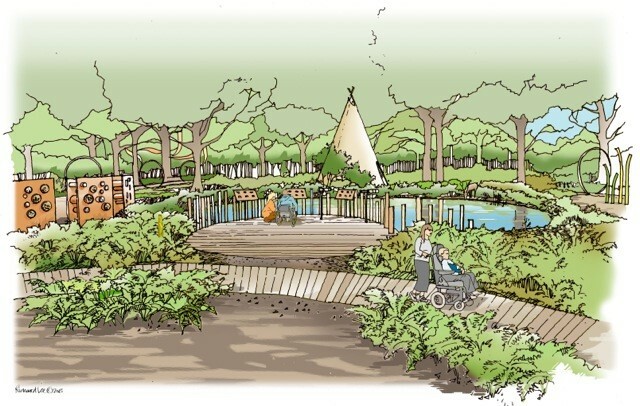 Sketch of the planned woodland walk at Chestnut Tree House. 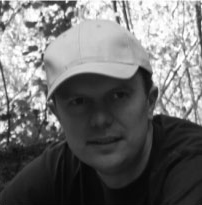 The Quiet Treehouse will be added in the final phase of developing the walk. Donating the Quiet Treehouse to the hospice would not have been possible without any of its sponsors: Quiet Mark, John Lewis, Medite Tricoya, Kebony, Jewsons, Pilkington, Cantifix, John Cullen Lighting, Rockwool, Acoustiblok, Kvadrat Soft Cell & Ion Architectural & Decorative Glass and the many other people who helped to make this a reality.